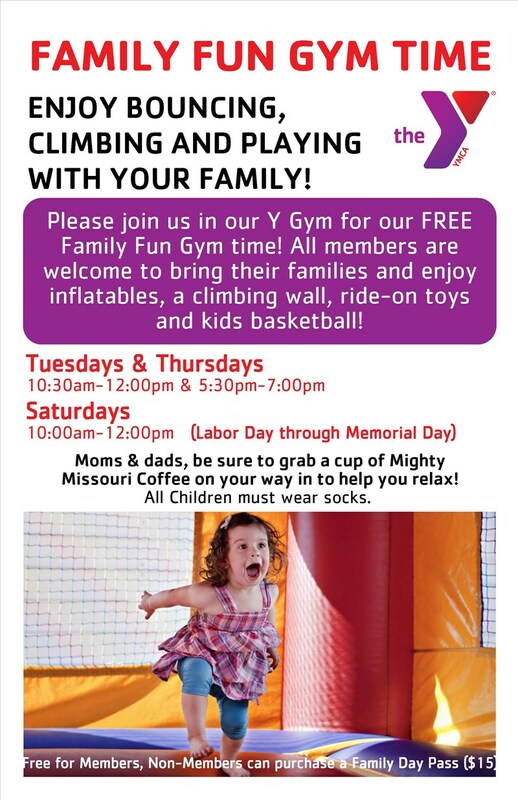 Our Y is proud to offer a variety of fun family programs including weekly Family Fun Gym Time, seasonal family events, and regular "Parent's Day Out" drop in activities! 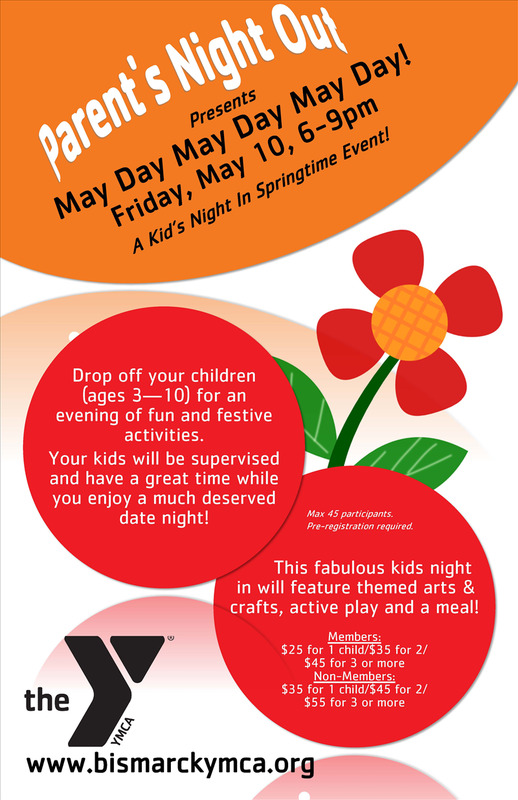 Family Fun Gym Time is a great way to spend some time with your family and be active at the Y! 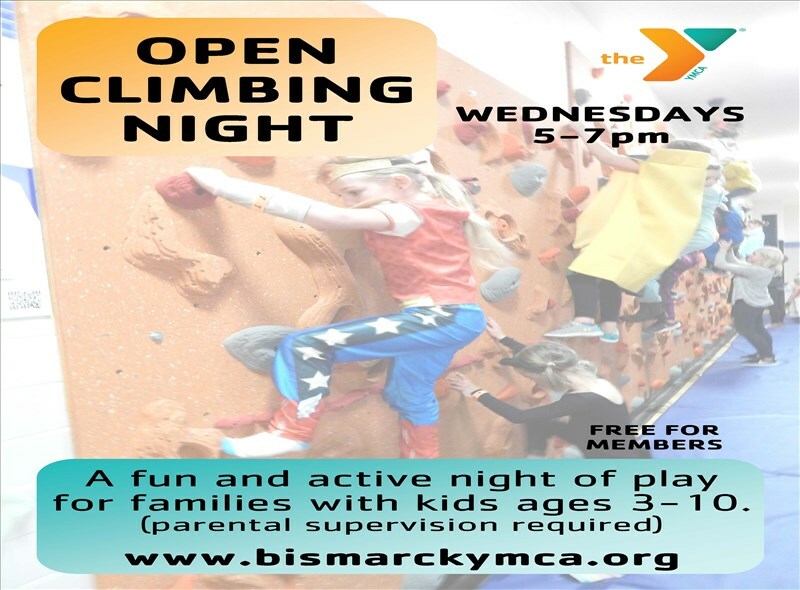 Parent's Night Out are offered the 2nd Friday of every month and provide an opportunity to drop your children off (ages 3 & up) for supervised play, while you enjoy some time away! A picnic style movie party with popcorn and a great film on the 1st Friday of every month. Bring a blanket and your entire family. FREE for members! 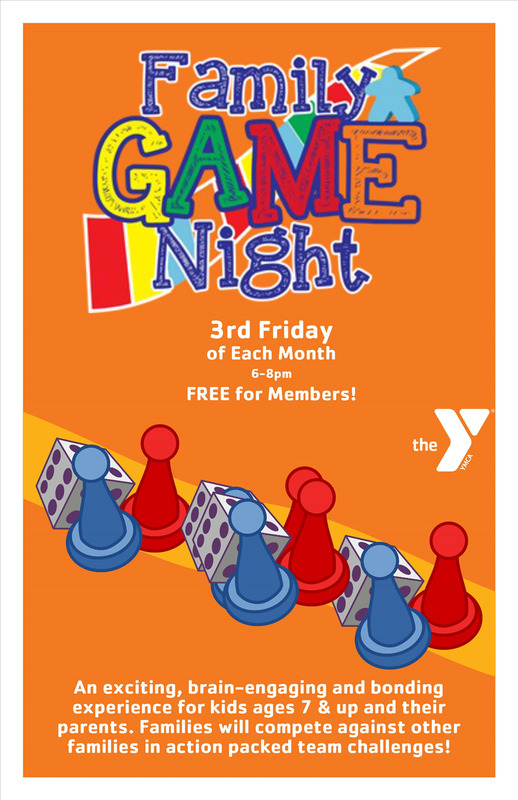 A mintue to win it style family gaming get together on the 3rd Friday of every month. Fun and friendly competition for the whole family. FREE for members! 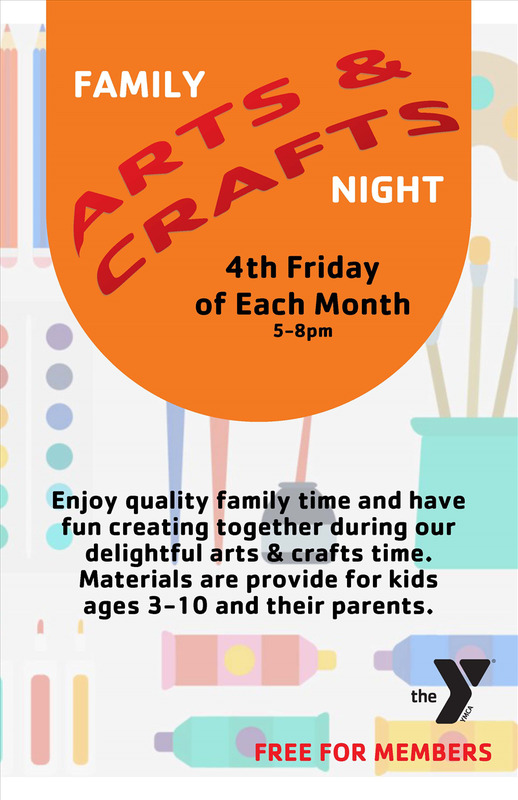 A creative and colorful evening of entertainment on the 4th Friday of every month. Wonderful quality time for families. FREE for members! Stay active and connected with your family with fun fitness programs for all ages, FREE for members throughout the entire summer! Regularly scheduled Summer Family Activites will resume again next summer. Check back then!